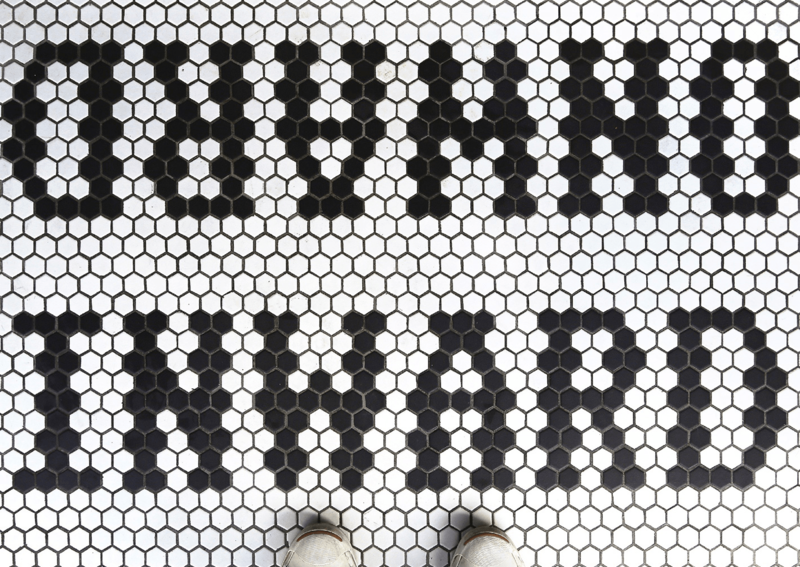 Named after our street location in the Mission District of San Francisco, 826 Valencia was founded in 2002 by educator Nínive Calegari and author Dave Eggers. The idea was simple: they wanted to support overburdened teachers and connect caring adults with neighborhood students who needed a little help with their writing. They landed a spot at 826 Valencia St. and set to work. But because the space was zoned for retail, they needed to open a store. They looked at the ship-like structure of the space, and decided to open a pirate store that would purvey supplies to the working buccaneer — and books by our young authors, of course. Behind the store, a crew of intrepid volunteers built a Writing Lab. Word spread quickly, and soon every chair was filled with students working on their writing with our trained tutors. Due to the success of the model, a separate organization called 826 National was founded in 2008 to help other cities launch their own successful writing and tutoring centers. We are now one of eight official 826 chapters in the United States, inspiring dozens more like-minded groups around the world. We publish the first 826 Quarterly, award our first college scholarship, receive California’s Excellence in Education Award from Senator Barbara Boxer, and open a Writers’ Room at Everett Middle School. The first ever Young Authors’ Book Project, Talking Back, features students sharing advice for teachers. Inspired by our model, 826NYC opens, beginning a trend that six other cities will follow. The staff go to the Virgin Islands to teach our Storytelling and Bookmaking Field Trip model to educators. Anyone in a tropical locale want to invite us to do that again? Robin Williams writes the foreword to the Young Authors’ Book Project, Home Wasn’t Built In A Day, and visited the authors’ school to encourage and inspire their writing. We celebrate our 5th anniversary with a community festival highlighting its students, families, and volunteers. A Mayoral Proclamation declares 826 Day a holiday. 826 National is born to support the 826 network. Dave Eggers wins a TED prize. We hold the first annual Great San Francisco Personal Statement Weekend, supporting hundreds of college-bound students. Our students write letters to President Obama, published in Thanks and Have Fun Running the Country, and notice him holding it in a photograph in the New York Times! 826 National wins the Innovations in Reading Prize from the National Book Foundation. Captain Blue still thinks kids can’t write stories. King Carl goes to Bali and probably has fun. Who knows? He never calls. He never writes. We order Captain Blue’s marshmallow and sardine pizza and get on with our lives. 826 Valencia celebrates its 10th anniversary with a year of celebrations, including a Write-a-thon and a “best of” edition of the 826 Quarterly. We expand our programming by launching an after-school program at Buena Vista Horace Mann K–8. Secretary of Education Arne Duncan pays us a visit. We unveil a new Writers’ Room at Mission High School and announce plans to expand with a second center in the Tenderloin. Thanks to an enormous community effort, we win the Bay Area Impact Challenge, a $500,000 grant from Google for our Tenderloin Center. We also open a new Writers’ Room at Buena Vista Horace Mann K-8. 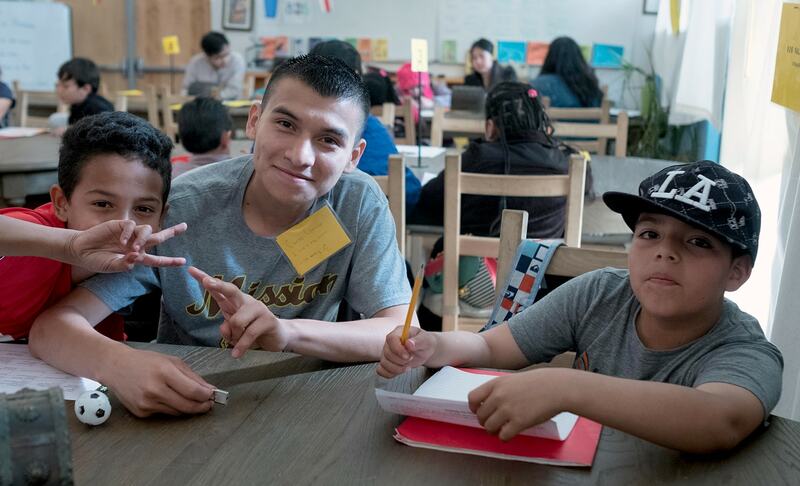 The 826 Valencia’s Tenderloin Center opens its doors, and we serve more students than ever before thanks to new summer programs, partnerships, a growing staff, and 1,200 volunteers! Our 15th anniversary! 826 Valencia serves over 7,000 students, and we celebrate with our biggest party yet—a giant community block party on August 26. Yes, this timeline goes into the future. We’re excited to open a third center in Mission Bay! Join us for the adventure!